Coyote is a tracing, logging and live monitoring solution for .NET applications. * Send and distribute Trace Messages using the royalty-free Coyote Core Framework. * Collect and route Trace Messages using Coyote Trace Server. 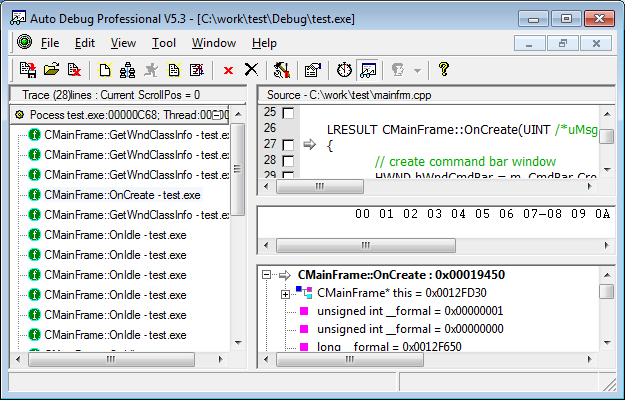 * Monitor one or more .NET applications live at runtime using Coyote Trace Monitor. 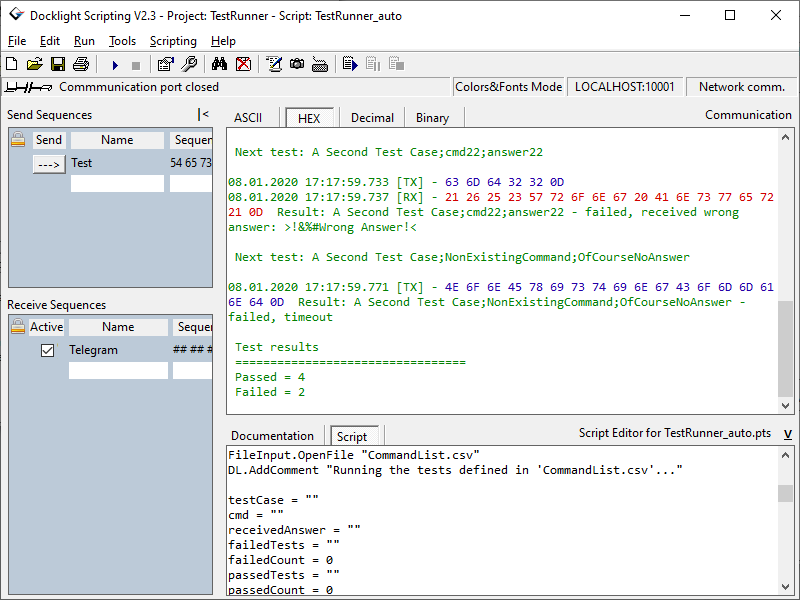 Improve the quality of your software by always knowing what's going on in your .NET application! Coyote Tracing for NET is a free tracing and logging solution for your NET applications. Send and distribute Trace Messages using the free Coyote Core Framework. Collect and route Trace Messages using the free Coyote Trace Server. Improve the quality of your software by always knowing what's going on in your NET application! 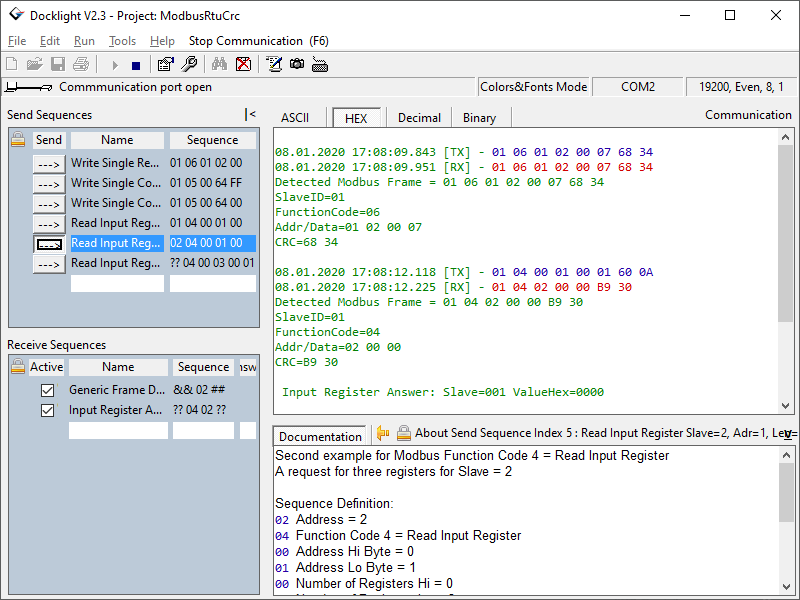 Docklight is a testing, analysis and simulation tool for serial communication protocols (RS232, RS485/422 and others). It allows you to monitor the communication between two serial devices or to test the serial communication of a single device. Key functions include: * Simulating serial protocols * Logging RS232 data * Detecting specific data sequences * Responding to incoming data. 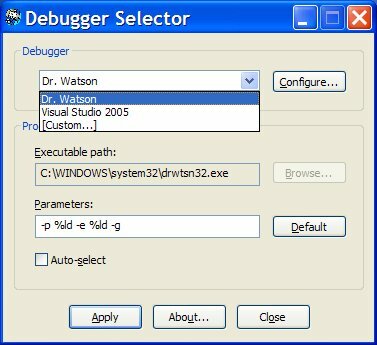 Docklight Scripting is an automated testing tool for serial communication protocols via COM, TCP/UDP, USB HID, Bluetooth HID and Named Pipes. It includes an easy-to-use script language for automation. A Docklight script allows you to execute all basic Docklight functions (sending predefined data sequences, detecting specific sequences within the incoming data stream, ...) and embed them in your own test code.